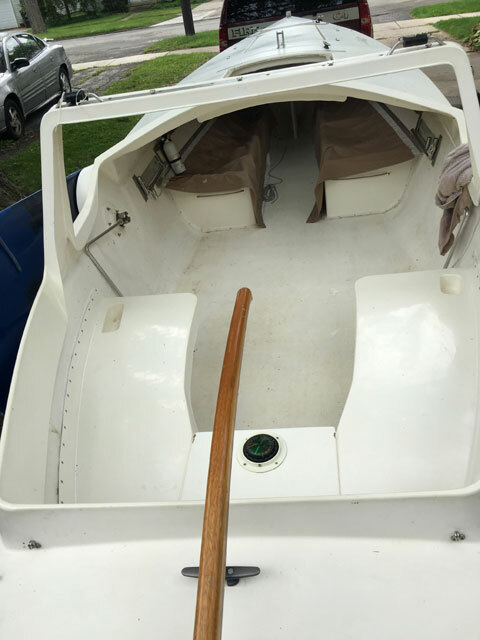 Good condition for a 30 year old boat. Interior and exterior clean. 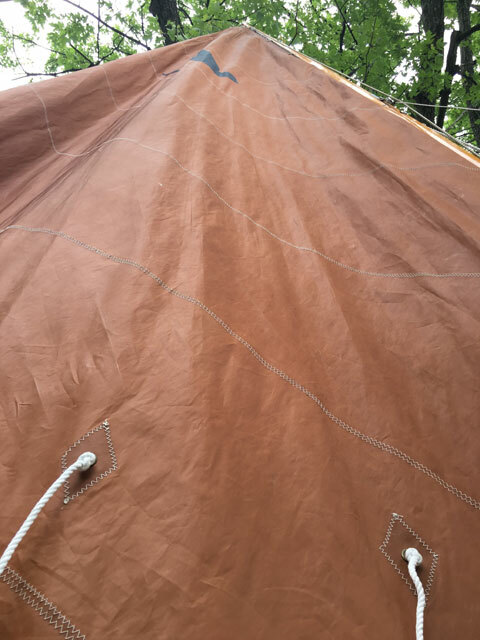 Hull, original tanbark sail and wood mast in good shape. 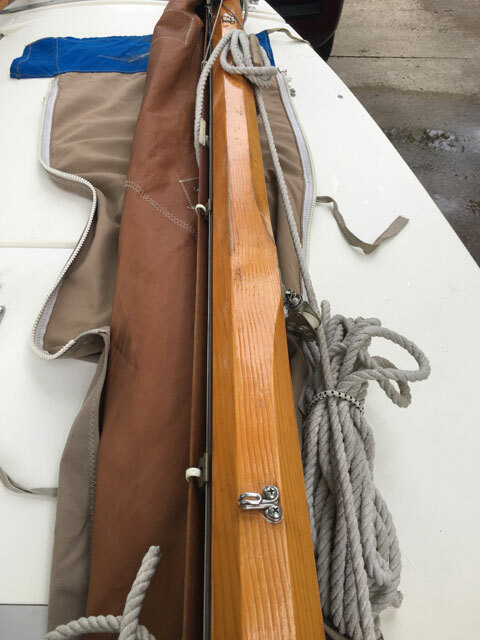 Wood sprit had a shoddy repair at some point but is usable. Shaw and Tenney sweeps and S & T yuloh included. Yuloh blade needs repair. 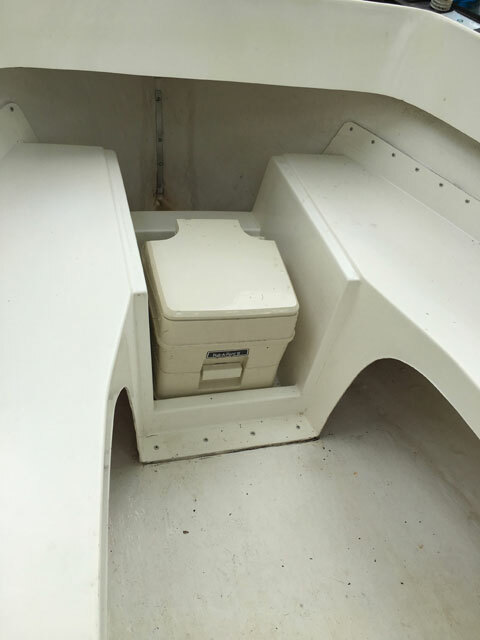 Original dodger, aft canvas and canvas hatch covers can be used for patterns. Camper canvas appears unused. 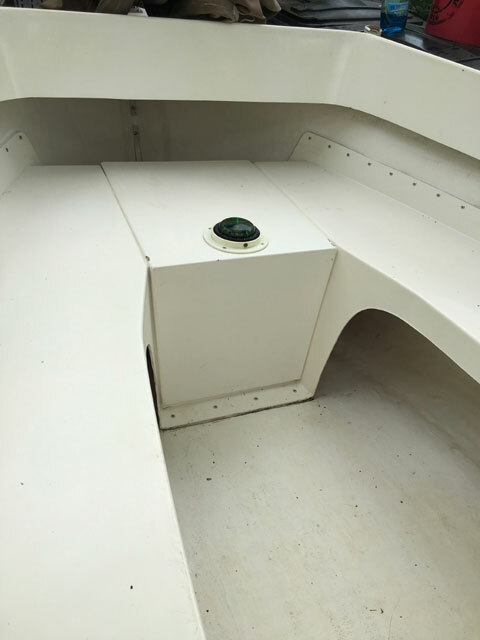 Fiberglass hatch covers for both forward hatches. Rudder mounted outboard mount. No motor. I took 150+ photos of the boat including photos of every ding. No surprises for someone traveling to pick up this boat. Factory, stern mounted trailer lights need repair. I towed it home using the included temporary magnetic lights. 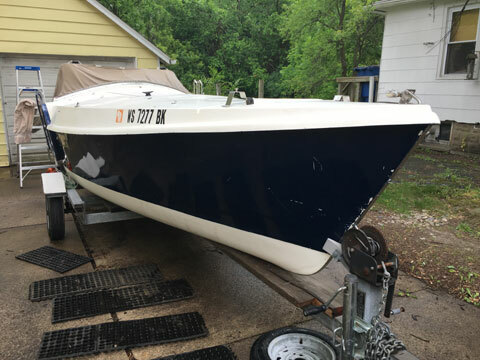 Days after bringing the boat home from Wisconsin, my first mate was diagnosed with malignant melanoma and advised to minimize sun exposure. Our sailing days, sadly, have come to an end. Clean Ohio title in my name. $2000 Firm. Will consider sport touring motorcycle + cash on trade.